If you're like me, and not into planning ahead, you might not have a game plan yet for New Year's Eve this weekend (I know what you're thinking...Delia...It's 3 days away). While I might not be one to go out for popular dining/drinking holidays, that doesn't stop me from rounding up the best NYE options in DFW for you, the hungry/thirsty reader. Read on to find the "someplace special" you've been looking for to celebrate the coming year (and to bid an enthusiastic Good Riddance to 2016). As 2016 comes to a close and we all look forward to the New Year, Dallas-area diners can kickoff 2017 in style at Abacus. The iconic restaurant helmed by Executive Chef Chris Patrick is providing revelers with a special four-course dinner menu created just for the occasion. Featuring an assortment of delectable options from starters to desserts, Abacus will handle all the details, allowing diners to end the year with great good and drinks in an elegant setting. Reservations are required. Please call 214-559-3111. For December 31, New Year’s Eve at Cedar Grove: The restaurant’s current Dinner menu will be served in addition to the special New Year’s Eve menu. 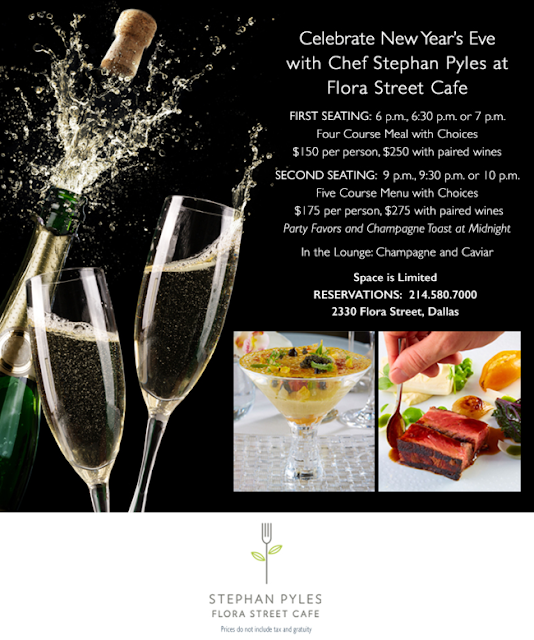 Created by Executive Chef Taylor Kearney, the New Year’s Eve Prix Fixe menu is $60 per person, which includes a special three-course menu. Wine pairings are also available. Make reservations online at OpenTable or call (214)522-3474. Pro Tip: Eat a nice dinner before the party. 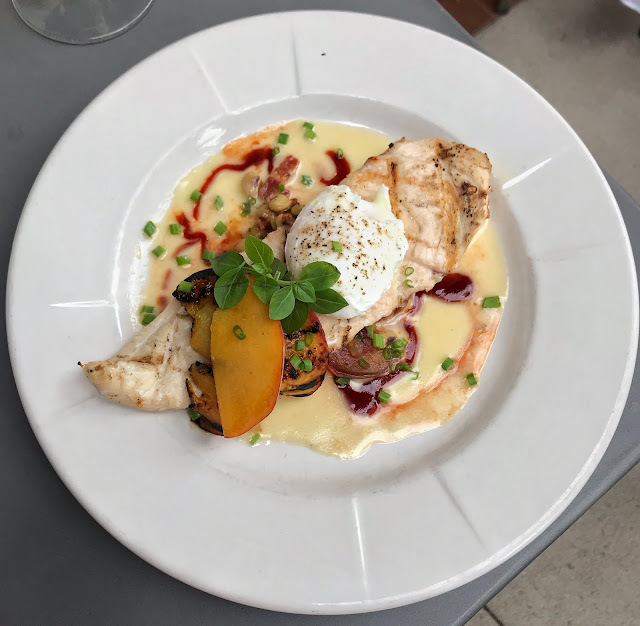 For only $100 a couple, enjoy a three course Prix Fixe menu and a bottle of bubbly OR enjoy any of your Chef Point favorites from the regular menu. Make reservations online at OpenTable.com or call (214) 740-4001. 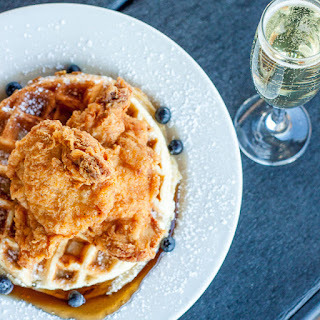 Located in one of Dallas’ most desirable neighborhoods, DISH Preston Hollow is an award- winning 4-star restaurant with a menu focused on fresh comfort food and craft cocktails set in a vibrant atmosphere. 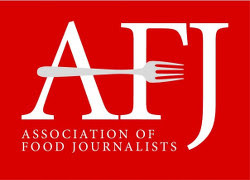 The food-forward approach conceptualized by NL Group is led by Executive Chef Garreth Dickey and enhanced with extensive cocktail and wine lists developed by Beverage Director and noted mixologist Trevor Landry and Sommelier Brandon Smoot. For December 31, New Year’s Eve at DISH Preston Hollow: Created by Executive Chef Garreth Dickey, the New Year’s Eve prix fixe four-course meal is $65 per person. Wine pairings are also available. Eastwood’s Bar, dubbed the “living room of Uptown,” invites patrons to its second annual New Year’s Eve party, with no reservation and coverage charge required. The bar will provide complimentary light bites from 8 p.m. to 10 p.m., FREE drinks for ladies from 10 p.m. to 2 a.m., a complimentary champagne toast at midnight and live music from 10 p.m. until 2 a.m. Items from the elevated bar menu will be available for purchase. 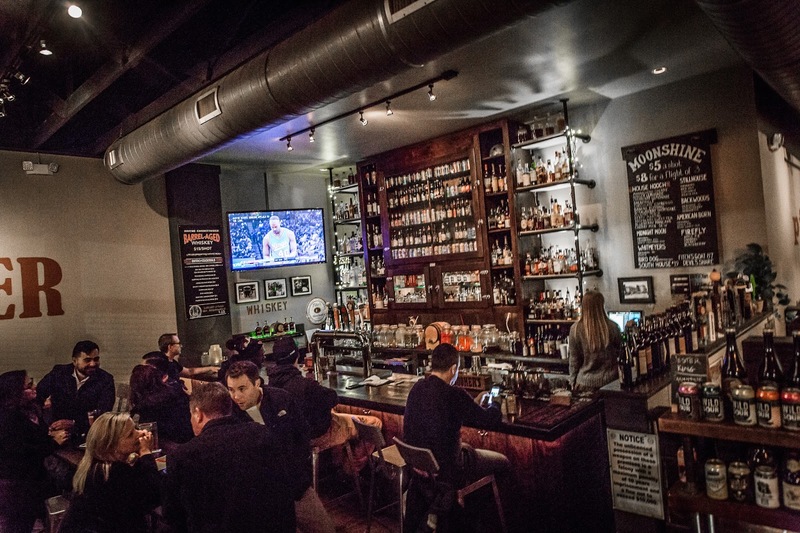 The bar will open at 10 a.m. for brunch, and the NYE party takes place from 8 p.m. – 2 a.m. Guests at Five Sixty are invited to take part in a one-time-only dining experience with a five-course tasting menu from Executive Chef Jacob Williamson and unique seafood offerings from Chef Hiroyuki Fujino. New Year’s Eve tasting menu options will include, “Steak and Eggs” nigiri-caviar duo, seared Day Boat Scallop, Maine Lobster tail, sautéed duck breast, koji cured A5 Miyazaki strip steak, and chocolate passion fruit cake. 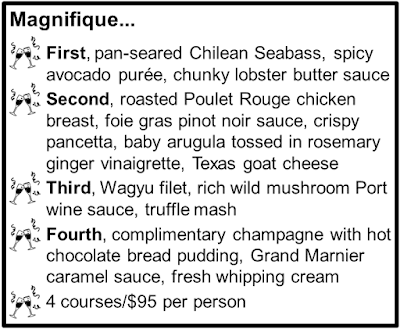 The five-course tasting menu is available for $175 per person, plus tax and gratuity. Diners have the option of including a wine paring to complement their meal for an additional $75 per guest. 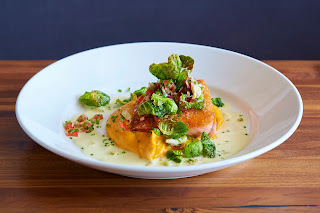 Reservations are available from 5:00 p.m. to 10:30 p.m. For reservations, please call 214.741.5560. Located in the Hotel Lumen and just across the street from SMU, Front Room Tavern features upscale, modern Americana dishes in a sleek and artful environment. 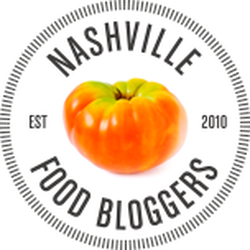 Reimagined by the NL Group in 2014, this boutique restaurant is a haven for those desiring a delicious culinary experience with their travels or the perfect place to dine in the neighborhood, seven days a week. Under Executive Chef Taylor Kearney, Front Room Tavern has features seasonal fare and a noted charcuterie program enhanced with extensive cocktail and wine lists developed by Beverage Director and noted mixologist Trevor Landry and Sommelier Brandon Smoot. New Year’s Eve menu. 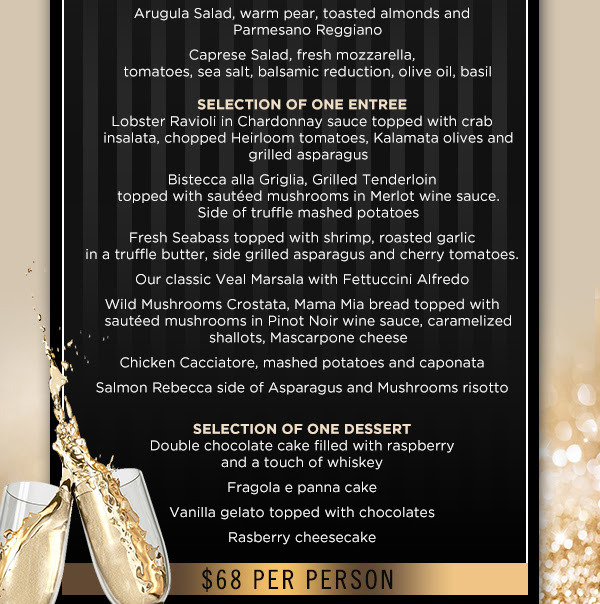 Created by Executive Chef Taylor Kearney, the New Year’s Eve prix fixe three-course dinner is $65 person. Wine pairings are also available. Dallas residents looking for the perfect way to ring in the New Year are in luck with specials from Grayson Social. Downtown Dallas’ newest Southern favorite will be serving its regular brunch menu on New Year’s Eve from 7 a.m. – 2 p.m., followed by a four-course prix fixe dinner menu from 5 – 9 p.m. At midnight, Grayson guests can participate in a champagne toast and the bar will remain open until 1 a.m. 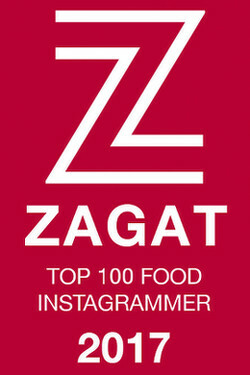 Please come and join us for a cozy evening and the best service this side of Paris (France)!! Gregory's is located at 6675 Mediterranean Dr. #3120, McKinney, TX 75070. For a celebrity inspired New Year’s Eve, look no further than The Grill on the Alley, the famed Galleria Dallas outpost of the Las Angeles fixture. On Saturday, December 31, the acclaimed Grill on the Alley at Galleria Dallas will host a prix fixe New Year’s Eve dinner for $75 per person. Reservations for New Year’s Eve are recommended, and can be made by calling Grill on the Alley at 214-459-1601. Henry's Majestic is located at 4900 McKinney Ave, Dallas, TX 75205. Another year has come and gone, and that’s reason to celebrate. So no matter your New Year’s Eve plans this year, you’ll want to begin your evening at Jasper’s. Because the Plano favorite known for its gourmet backyard cuisine is hosting a special dinner as we welcome in 2017. Chef Kyle Jones and his team are offering a variety of dishes that guests can customize into a mouthwatering four-course feast. Reserve a table, raise a glass of Champagne and close out the year with an evening to remember. In addition to the speicial menu, a selection of Jasper’s favorites and sides will be available for an additional charge, including the house-made Italian sausage pizza and Maytag blue cheese potato chips. Saturday, December 31, 2016 from 5:00 p.m. – 11:00 p.m.
$90 per person, plus tax and gratuity. Reservations are required. Please call 469-229-9111. Known for reinventing Japanese cuisine as a new comfort food, Kabuki Japanese Restaurant, located inside the Galleria Dallas, will keep its doors open on New Year’s Eve and New Year’s Day. Guests will be able to sip on a special Plum Champagne cocktail, available only on New Year’s Eve, for only $5.95. Aside from Plum Champagne, Kabuki’s beverage menu includes everything from cocktails to sake, wine and beer, making it the perfect place for guests to celebrate the New Year. In addition to Kabuki’s cocktails, the full menu will be available on both days with plenty of light bites, appetizers and sushi rolls to satisfy any guest with a craving for Japanese comfort food. 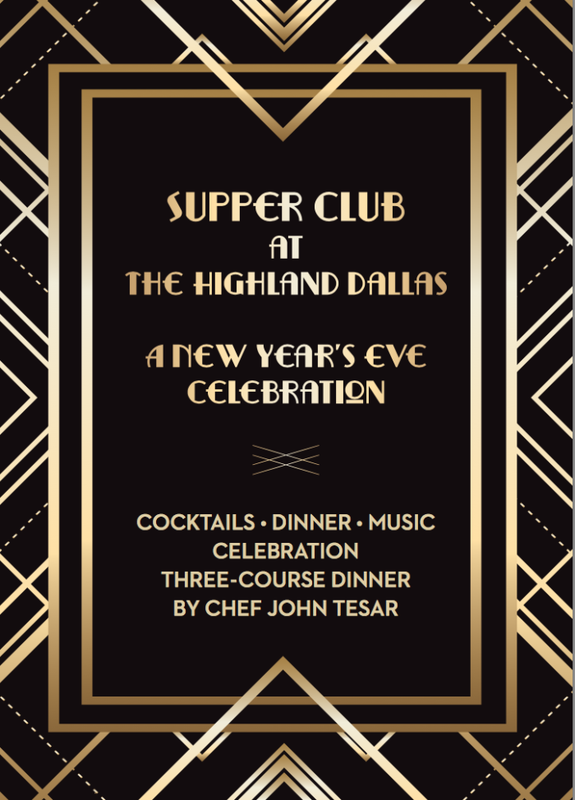 New Year’s Eve - Supper Club at The Highland Dallas featuring a Three Course Dinner from Chef John Tesar of Knife Dallas, entertainment from Ricki Derek and his 16 piece band, complimentary bar, champagne toast and countdown to the New Year. Two seating options available include VIP tables of four or General seating where social aspects of the true Supper Club will make for a truly one of a kind New Year’s Eve. Start your New Year with good food (Indian fusion), great friends and a lot of celebration! 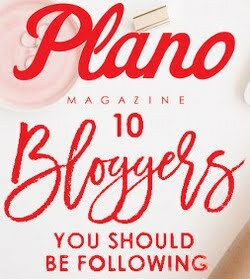 Mai' Da Plano is offering a 4 course dinner, with a cocktail. Midnight Champagne toast. Drink specials. Celebrate New Year’s Eve at the most iconic restaurant in Dallas. Executive Chef Tom Parlo has created two luxurious menus featuring lobster, Ibérico de Bellota pork tenderloin and Wagyu sirloin Rossini with foie gras. Select a festive bottle of champagne or explore wine pairings to accompany the meal. Wine Director Jennifer Eby offers an exceptional wine list encompassing vintages from Texas and around the globe. For dessert, experience Illanka, inspired by the breathtakingly creative Illanka Stratosphere by Pastry Chef Nicolas Blouin which won national acclaim with a first place award at the 2015 Valrhona C3 Competition in New York City. The dessert will be offered for one night only and features Illanka chocolate mousse, brownie, coca nib tuile and jasmine raspberry sorbet. 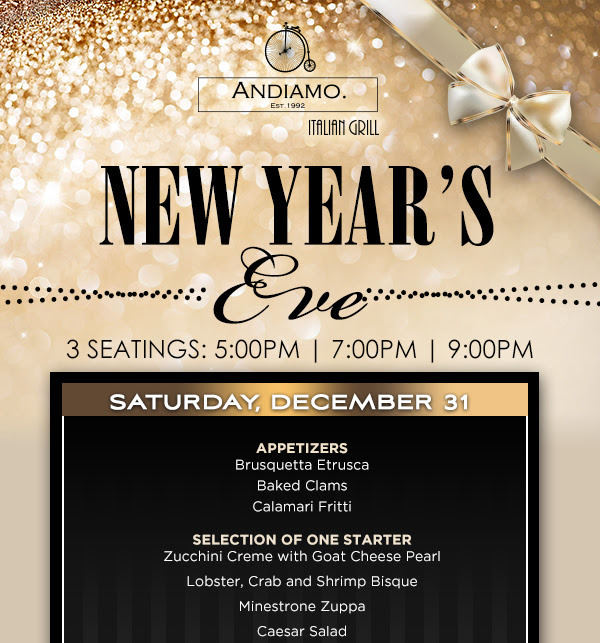 -EARLY EVENING DINNER: Have late night plans or a New Year’s Eve fete to attend? Enjoy New Year’s Eve cuisine in four spectacular courses. Reservations are available at 5:30-6:00pm and the menu is offered for $115 per person. -LATE EVENING DINNER: Ring in the New Year at the incomparably sophisticated and glamorous Mansion Restaurant. 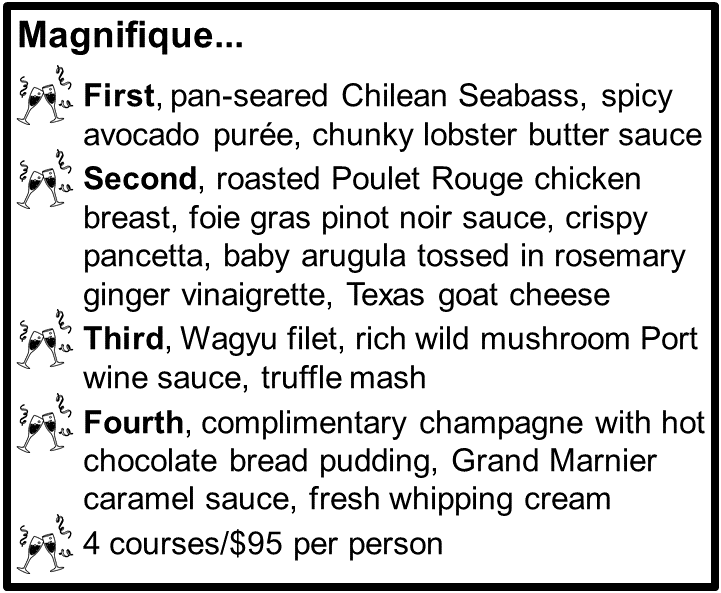 Indulgent cuisine features lobster, truffle ravioli, tourbot, duck, Ibérico de Bellota pork tenderloin and Wagyu sirloin Rossini with foie gras, noix de coco and Illanka. Reservations are available at 8:00-8:30pm and the extravagant eight-course menu is offered for $200 per person. Enjoy a sparkling wine toast at the stroke of midnight. Ring in the New Year with a 4-course pre-fixe menu crafted by Chef Richard Graff at Design District gastropub Meddlesome Moth. Cost is $55 per person for reservations at 5:00pm and $65 per person for seatings at 7:00 pm and 9:30pm. Final seating includes party favors and complimentary champagne toast at midnight. Reservations are recommended. For additional information and to reserve a table call 214-628-7900 or go to www.mothinthe.net. Meddlesome Moth is located at 1621 Oak Lawn Avenue in The Design District. Complimentary valet parking always provided. Newly-opened @nerdvana.food+spirits in Frisco Square invites patrons to its inaugural New Year’s Eve party. 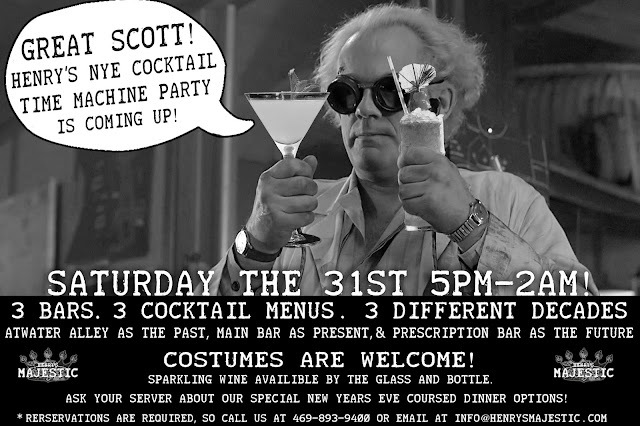 The event requires no cover charge and guests must be 21+ to attend. The restaurant will serve its regular menu for purchase from 8 to 10 p.m., and its 8-bit menu from 10 p.m. to 2 a.m. Enjoy half-priced bubbles by the glass and an array of throwback and modern video games on 15 consoles. Reservations are highly encouraged and can be made by contacting the restaurant. The restaurant will open at 4 p.m., and the NYE party takes place from 8 p.m. – 2 a.m. The popular entertainment venue, PINSTACK, will feature two events on New Year’s Eve – one catered to families and another 21+ event. The Pyramid Restaurant hosts an Early Dining Event for those with plans later in the evening. The early seating, at 5:30 pm, offers a 4 Course Menu with choices of entrée and dessert for $69 per person (plus, plus). For an additional $25, wine pairings from the San Martine Winery are available. Complimentary valet parking. The Feature Event at, 8:00 pm, offers guests a 6 course menu including entrée and dessert choices, for $125 per person (plus, plus). Wine pairings are available for an additional $35 per person. Winemaker Emilio Ramos will be in attendance to feature his Texas wines from the San Martino Winery. The 8:00 pm seating dinner also includes live entertainment by Tyra Taylor, dancing , photo booth, complimentary Champagne Toast at midnight, and party favors. Complimentary valet parking is offered. Reservations may be made via Open Table or calling the Pyramid Restaurant at 214-750-5249. The Pyramid Room in the Fairmont Dallas Hotel is located at 1717 N. Akard St., Dallas, TX 75201, in the heart of the Dallas Arts District. 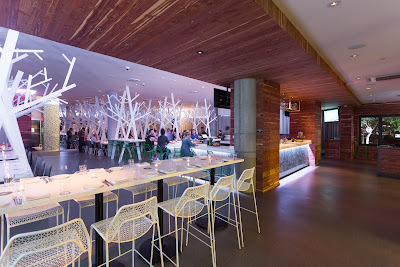 STIRR will feature a dedicated five-course tasting menu on New Year’s Eve. Available for $95 per person, guests can take advantage of three seating times at 6 p.m., 8 p.m. and 10 p.m. The restaurant will provide a glass of complimentary champagne, and guests will have the option to also enjoy a wine pairing with their meal for $30 (3 high end wines). Menu items include Fire Roasted Mushrooms, Dayboat Scallops, Cured Pork Belly, Texas Flatiron and Salted Caramel Apple Pie. Karaoke and tunes by DJ Cwick along with rotating hourly specials will follow, providing guests with another reason to celebrate each hour. A midnight toast with Stonedeck’s Raspberry Kisses shot will ring in 2017 the right way. And, to keep party goers fueled up, Stonedeck’s kitchen will be open and serving food until 2 a.m.
Victor Tango's will serve their craft cocktails and the full menu until midnight on New Year’s Eve. A Champagne toast will be offered at midnight and the party will continue until 2a.m. And please, if you plan to drink, don't drive. Like, at all. Go ahead now and download Uber or Lyft, and rest easy knowing you'll arrive safely to your destinations. Happy 2017 friends.